As the World Championship class M 2017 in Hungary is approaching fast, i need to remind all of you cetrain very important issues: First off all, concerning the registration: The deadline is 15/06/2017 which means you have till then to register. Late entries (meaning after the deadline) will NOT!!!!!! Be accepted. 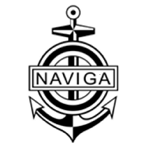 Secondly: According to Naviga Competition Rules 2.1.3(c) all proposals to Class Rules have to be with the Section Leader 8 weeks before the beginning of the World Championship; which leaves you till 23th of June to send in those proposals to me. Finally: All canidate Section Leader, who have the proper qualification, need to announce their candidacy by the same date. Hereby I announce mine for another term as Section Leader.